Our focus on partnership between the school, the parents, and local churches is essential in developing the whole student. 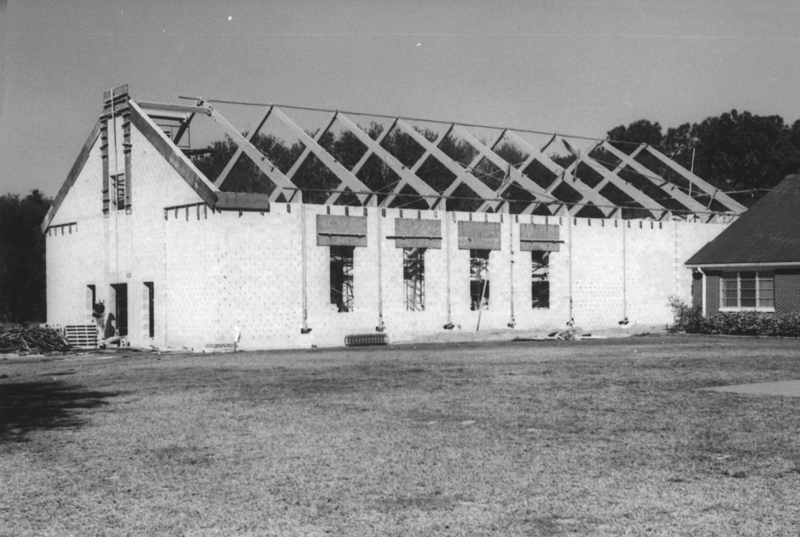 In 1964, Seminole Presbyterian Church established Seminole Presbyterian School as a beacon in the Tampa community for Christian Education. 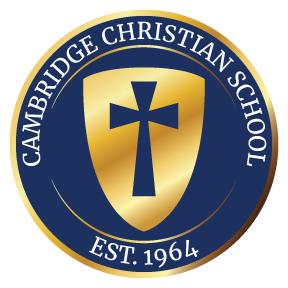 Today, Cambridge Christian School is an independent Christian School that has become the premier Christian School in the greater Tampa area. 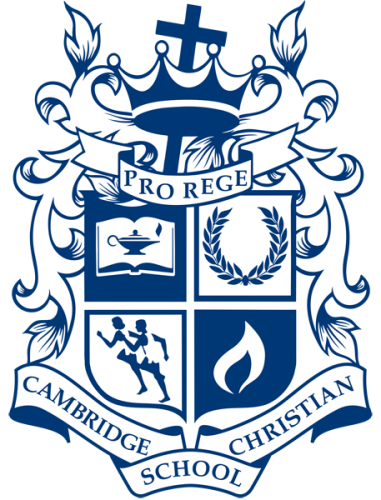 From its early foundation, Cambridge Christian School sought to reach the community for Christ through the avenue of education. As an evangelistic school, Cambridge seeks to raise up future leaders who academically, socially, and spiritually can serve the local and global community for Christ. Cambridge is unapologetic in our belief that the use of Biblical training is essential in developing students who will reach the highest level of professionalism in their local communities. Cambridge was founded to develop individuals that will change the world, and today we have over 800 alumni who are doing just that. Cambridge is focused on providing our families with a rigorous educational experience that also allows the student to grow their talents in the arts and athletics. Serving students from three months through twelfth grade allows Cambridge to partner with families, literally from the cradle to diploma. 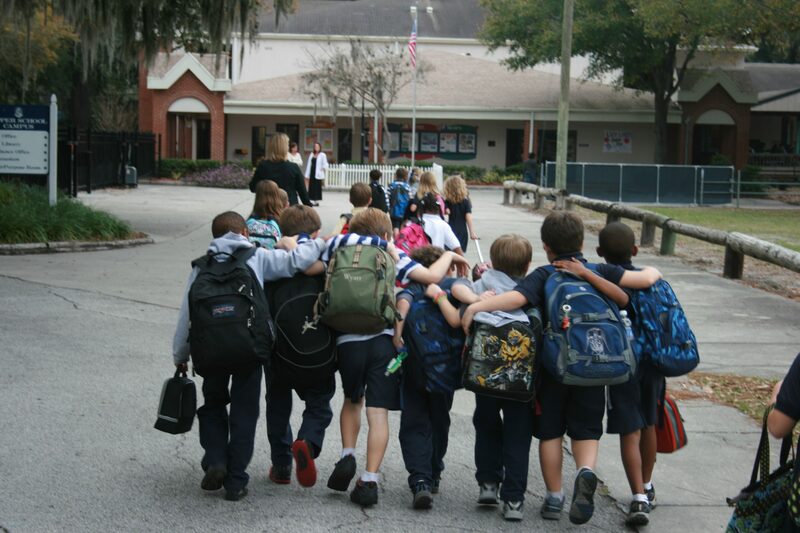 When you partner with Cambridge Christian School, you will experience a nationally accredited education that exists to educate the whole child. We're all about Relationships, Serving Our Community, College & Life Prep, Family Investment, and Building a Legacy. Explore the videos below! We believe that the Bible is the inspired Word of God and is infallible and authoritative. We believe in the deity of the Lord Jesus Christ, His virgin birth, sinless life, miracles, substitutionary death and atonement, bodily resurrection, ascension and personal return in power and glory. We believe that for salvation from sin and eternal judgment, faith in Jesus Christ and regeneration by the Holy Spirit are essential. We believe in the spiritual unity of the Church, composed of all who are redeemed by grace through faith in Jesus Christ. The church has been and always will be the instrument to fulfill God’s purposes here on earth. The church is the expression of God’s kingdom to the world. CCS will expect all board members, administration, faculty and staff to be active members in a Bible-believing church. CCS will encourage all parents and their families to be active members of a Bible-believing church. CCS will have as one of its primary goals to beautify and strengthen the church. CCS will seek to partner with area churches to make Kingdom Education available for all in the community. The demonstration of Christ-Like Character is to live a complete life as Christ would live. CCS will train and encourage students and families to apply the qualities of Christ in their own lives. 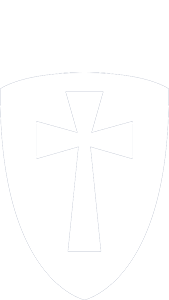 CCS will employ staff whose actions and attitudes model Christ. CCS will equip students to communicate their faith to others. CCS will develop discipline and behavior standards within biblical principles that lead to Christ-like behavior in the students’ lives. The family is a God-ordained institution for training future generations to ‘know, grow, and go’ for Jesus Christ. CCS will provide training and resources to assist parents in building a Christian home. CCS will provide Kingdom Education that is accessible to all families who desire it. CCS will partner with families to develop policies and procedures that will be a win-win for family and school. CCS will assist families in the development of discipleship in the home. A quality education is centered on biblical principles. It seeks to challenge students to reach their full potential for which God has designed them. The education should be one that provides Godly wisdom to be used for generations to come impacting homes, churches, and communities for Christ. CCS will develop an educational program based on the truths of God’s Word. CCS will employ and train teachers who model Godly wisdom and Christian virtues and cultivate those virtues in the lives of their students. CCS will use curriculum and methods in the classroom that reflect the truth of God’s Word and prepare students for a life of service in Christ. CCS will challenge students to develop a biblical worldview so they can intellectually engage the culture for Christ. CCS will provide a safe learning environment where students are actively engaged and participate in their learning. CCS will meet educational standards that are set forth by accreditation agencies. CCS will provide an education with goals and expectations so that students can achieve success that is measurable and clearly communicated. To develop as a leader, one must first learn to serve. CCS will train students to follow Christ’s example of leadership through servanthood. CCS will involve students in activities which teach the value of service before self. CCS will train students to identify their spiritual gifts and use them to glorify God through service in their local school, church, and community. All truth begins and ends with scripture and will be the foundation for all worldview development that occurs on the campus of CCS. CCS will govern itself according to biblical principles. CCS will integrate the Bible into every aspect of the school’s life. CCS will implement a spiritual development plan for board members, staff, students, and parents. CCS will create and use a Bible curriculum that teaches sound doctrine and equips students to defend their faith. We have been at Cambridge since 2011 and we love it just as much as we did when we first started. I think the most special part of our school is the teachers. They truly care for our children as though they are their own. When we think of Cambridge, we think of family. Our daughters started at Cambridge in kindergarten and preschool and now one is in college and the other a junior. They have been blessed to learn what it is like to be part of a community that learns together, grows together, believes in each other, and strives to glorify God in all areas of life. It is a joy when we can see God at work in our children’s lives and in the lives of our Cambridge family. 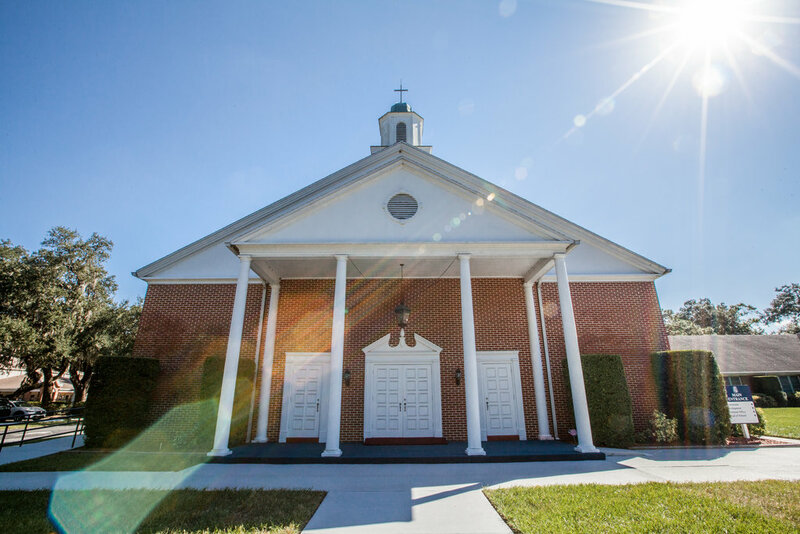 Our family’s ties to Seminole Presbyterian/Cambridge Christian School run long and deep. Two generations have been involved in administration and instruction. A third generation has benefitted greatly from its array of opportunities in academics, athletics, and fine arts set on a background of a Biblical worldview. CCS played an invaluable role in the lives of all six of our children. We are thankful to our God that He has kept this school close to His heart. I thank God for Seminole Presbyterian (Cambridge). The education that I received allowed me to attain my goal of becoming a doctor and maintain the Christian values I hope to instill in my beautiful children. Thank you for these gifts!